Here is a gift that they will be talking about for a long time. 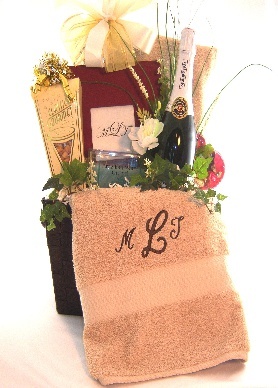 Personalized bath towel wedding set. Includes a set of 6 towels, a bottle of sparkling cider, a photo frame, snack mix and chocolates. You choose towel color and monogram.